Way back in 1922 a Pom army major sat in the gentleman’s club in Harrismith and spoke condescendingly about our mountain, Platberg, as “that little hill”. What was ‘e on about? It rises 7800 ft above sea level and he was from a tiny chilly island whose ‘ighest point is a mere 3209 ft above sea level! Being a Pom he was no doubt gin-fuelled at the time. Anyway, this ended up in a challenge to see if he could reach the top in under an hour, which led to me having to run up it years later. Because its there, see. I had often run the short cross-country course and twice the longer course, which followed the mountain race route except for the actual, y’know, ‘mountain’ part. I had also often climbed the mountain, but strolling and packing lunch. When I finally decided I really needed to cross the actual mountain race proper off my list of “should do’s” I was larger, slower and should have been wiser. At this point I wished I had done some training! The race used to be from town to the top of the mountain, along the top for a mile or so and back down. Sensible. That’s how I ran it in 1979. The medal then had a handy bottle opener attached! Then some fools decided that wasn’t long enough! Apparently a cross-country route needed to be 15km to be “official”, so they added three kilometres of perfectly senseless meanderings around the streets of our dorp causing fatigue before I even started the climb. Oh by the way, Major Belcher did get to the top in under an hour, winning the bet. 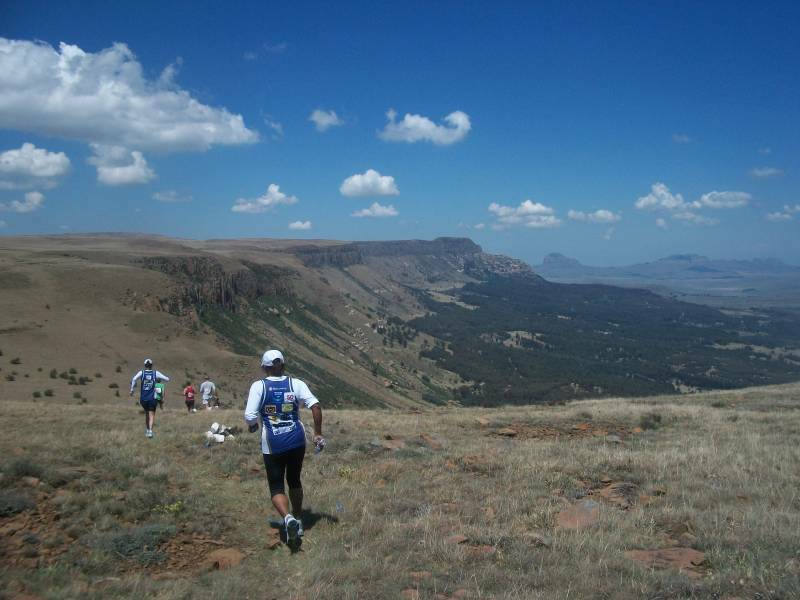 The Harrismith Mountain Race held annually since 1922, was described as the ‘toughest in the world’ by Wally Hayward, who won five Comrades marathons, the London to Brighton Marathon and the Bath to London 100-miler! (More about a wonderful day with Wally). 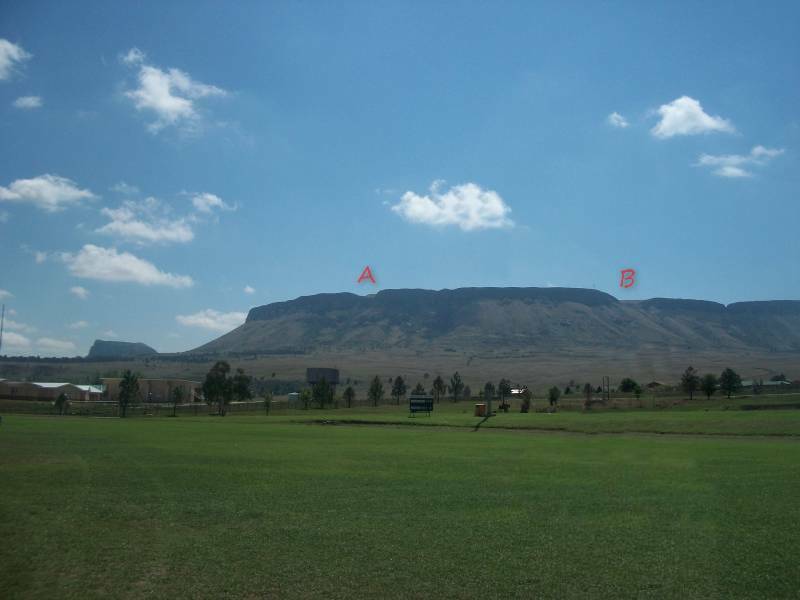 It originated when, in 1922, a British soldier, Maj A E Belcher, returned to Harrismith where he had been stationed near 42nd Hill during the war. 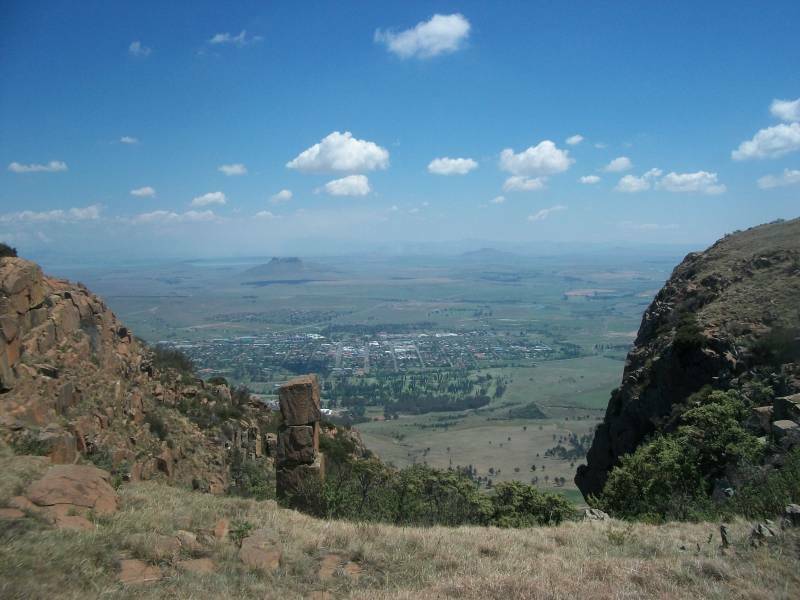 He was referring to Platberg as ‘that small hill of yours’, one Friday evening [lots of silly things are done on Friday evenings] and one of the locals (a certain Van Reenen – or maybe the chemist Scruby) immediately bet him that he could not reach the top (591 metres – just under 2000ft – above the town) in less than an hour. 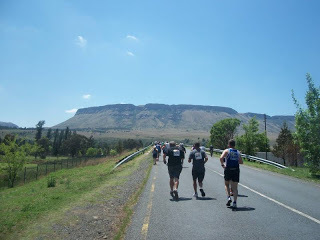 The major accepted the challenge and set off from the corner of Stuart & Bester streets outside the old Harrismith Club near where the Athertons ran The Harrismith Chronicle the very next day. He reached the summit with eight minutes to spare. During a later visit to the town, Major Belcher (now a schoolteacher in Dundee, Natal) found out that his record still stood so he took it upon himself to donate a trophy to the Harrismith Club to be awarded to the first club member to break his record to the top. 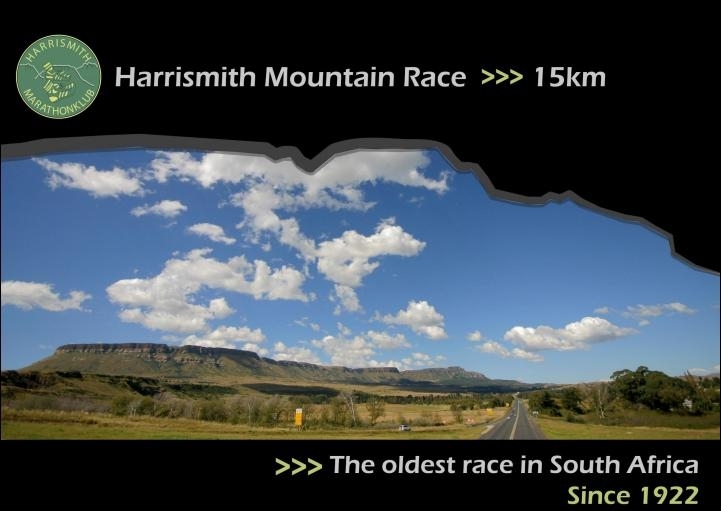 In 1929 the Club management, as the organizers of the race, decided to open the race up to the residents of Harrismith and a Mr Swanepoel, won the race to the top of the mountain in 32 minutes. (The last record time I have is 22 minutes and 9 seconds). The race route has changed over time – starting in Piet Retief Street outside the post office and police station for some years. 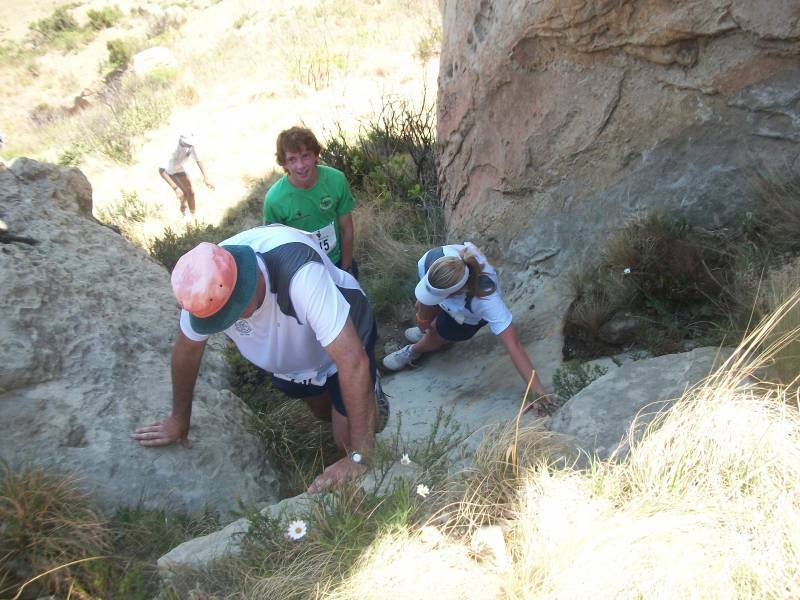 Nowadays it starts at the town’s sports grounds, passing the jail, then through the terrain where the concentration camp (second site) once stood, up the steep slopes of Platberg to the top via One Man’s Pass, close to where a fort was built during the Anglo-Boer War. 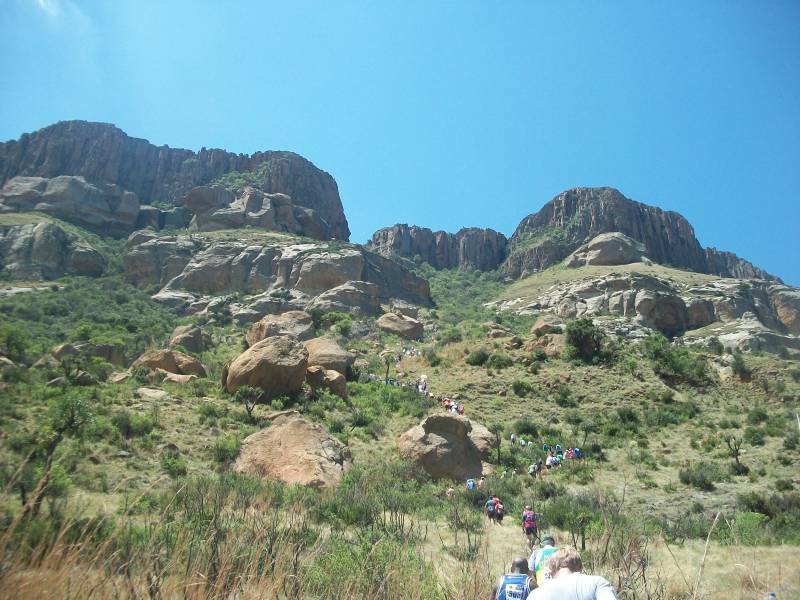 After traversing a short distance along the top, the descent is made via Zig-Zag Pass, and the race is completed back at the ‘Groen Pawiljoen’ sports grounds. A friend’s Mom, Alet de Witt became the first lady to complete the race. She ran in the year her husband, Steph and JP’s Dad Koos de Witt died tragically suddenly in January 1967. She then donated a trophy for the winner of the newly allowed (!) women’s category, which was awarded for the first time only in 1986. Later the apartheid “whites-only” ruling was dropped and as soon as McDermott* stopped winning the race was won by black athletes, starting with Michael Miya who holds the record for the newer, longer 15km course at 1hr 03mins 08secs. *McDermott won sixteen times consecutively from 1982 to 1997 and in 1985 established the “short course 12.3km” record at 50mins 30secs.